Completely renovated less than two years ago. Wood look plank tile floors in main living area and kitchen. Laminate in both bedrooms. Walk-in closet in Master bedroom and large closet in second bedroom. 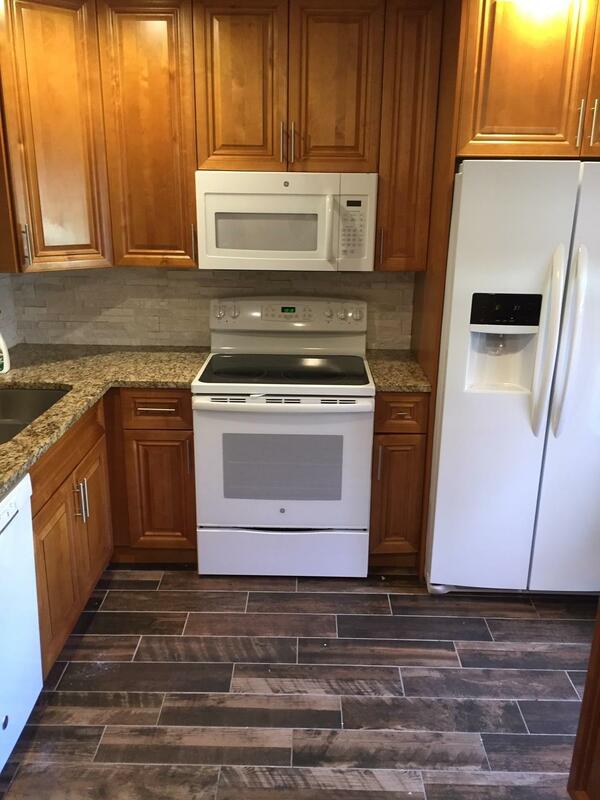 New kitchen cabinets and granite counter tops. Large pantry. Newer appliances (less than 2 years old). Freshly painted. Both bathrooms have been redone. Sliding door to glassed in patio. Stackable washer/dryer inside unit in hall closet. Within walking distance to the active clubhouse. Low HOA.